Reach Non-Profit Leaders and Fundraisers Today! 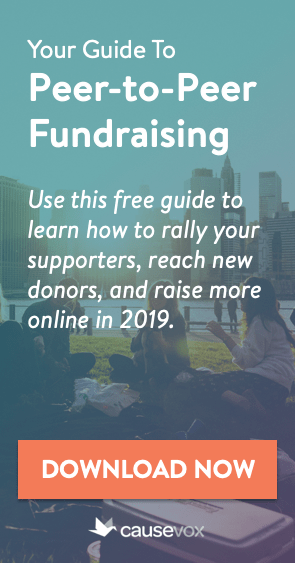 The Fundraising Authority is one of the most popular sites on the web for in-depth articles and advice on fundraising. 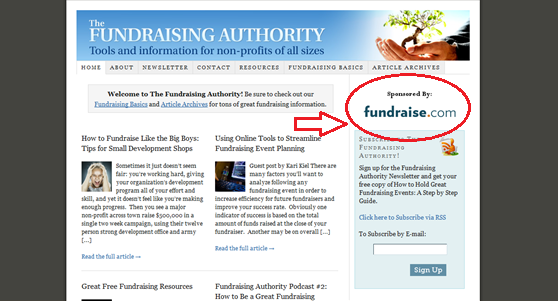 Each month over 80,000 unique visitors come to TheFundraisingAuthority.com, viewing over 140,000 pages of content. Many of these visitors sign up for the The Fundraising Authority Newsletter, the biggest and best weekly fundraising e-newsletter on the Internet. Each week, over 32,000 subscribers receive articles and tools delivered right to their inbox. Sponsors will be re-billed each month until they cancel, and may cancel at anytime. Sponsors who cancel will not be billed for any additional months. Payment types accepted include: Visa, Mastercard, and American Express. Use the “Buy Now” button below to purchase a 3 month sponsorship for $155, and save over 5%. Quarterly sponsors receive the same great monthly sponsorship package at a reduced rate of only $155 (you save $10 over the cost of purchasing all three months individually). Quarterly sponsors will be re-billed every 3 months. Sponsor The Fundraising Authority for a full year, and the cost is just $49 / month. When you prepay the full amount ($590 for 12 months) using the “Start Advertising” button below, you’ll pay just $49 per month, a savings of 10% over our regular $55/month sponsorship option. There is a limit of ONE premium sponsorship available at any given time. 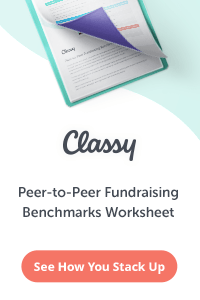 Thus, there will only be one ad above the fold on The Fundraising Authority at any time. The Fundraising Authority reserves the right to refuse any advertiser. All banners are subject to The Fundraising Authority’s approval and must convey an appropriate and professional message/look. There may be multiple sponsors in any given month or newsletter. 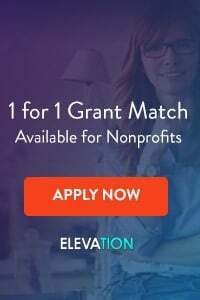 Once you pay for your sponsorship, you will be re-directed to a page that contains information on sending your advertisement directly to The Fundraising Authority. If you have any questions or need more information, please contact The Fundraising Authority.